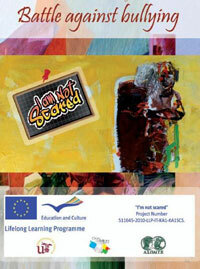 The publication entitled “European Strategy against School Bullying” has been presented in the Lombardia Region in the framework of the final conference of the I Am Not Scared project held on 26 October 2012.. 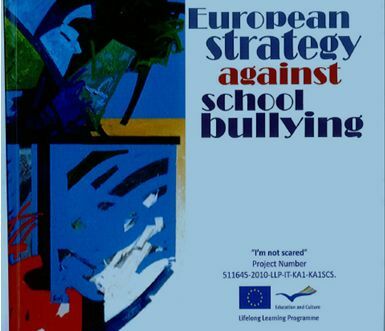 The publication is organized in the following chapters: case studies analysis, national strategies to combat school bullying, the European situation, European strategy to combat school bullying. 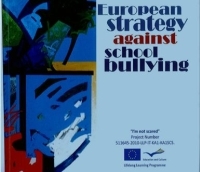 The European Strategy to prevent and tackle school bullying has been developed and it is now available on the project portal. The European strategy is the final result of the project and takes into consideration the analysis of the publications, good practices, case studies collected in the partners’ countries and transnationally analyzed by all the project participants. The case studies uploaded on the project portal have commented online by teachers, experts and policy makers involved in the project. The project partners analyzed all the comments and the results have been collected in national reports which are available on the project portal together with the transnational report presenting the differences and similarities among the different countries. 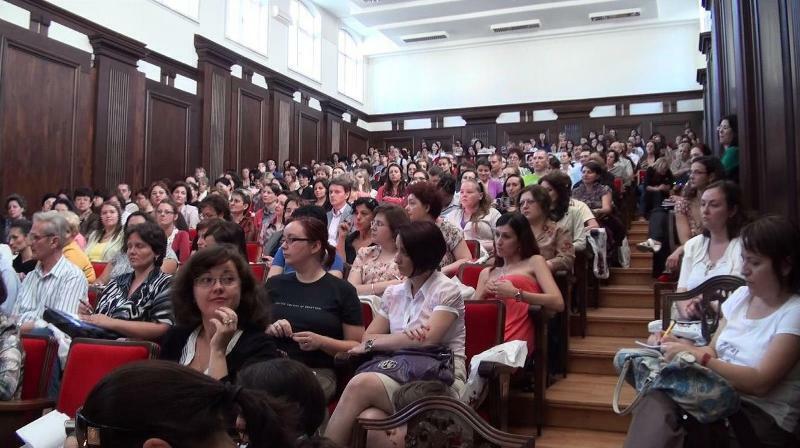 Following the second one, the third virtual meeting was organised on 7 May 2012. The topic of the virtual meeting was the presentation of the results of the transnational discussion on the Italian, Lithuanian and Romanian case studies. 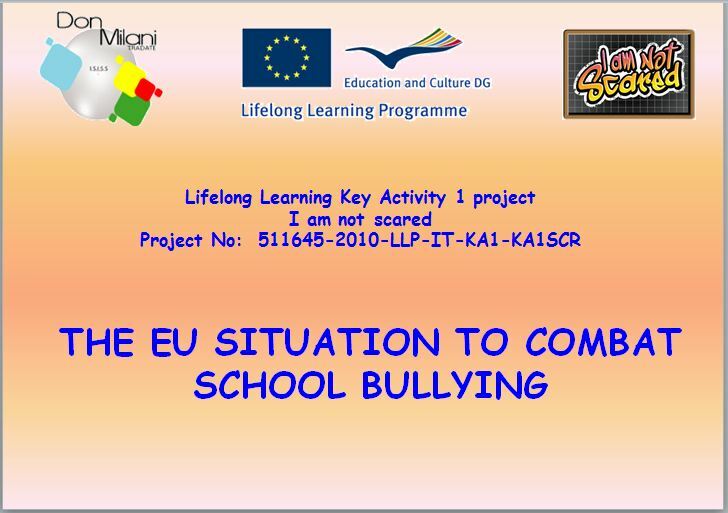 According to the project aims, it was agreed that teachers involved in the project should participate in a transnational discussion on the theme of bullying prevention and tackling. 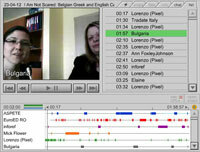 On 23 April 2012 the second virtual meeting was held in order to present and discuss the results of the feedbacks provided for the English, Greek and Belgian case studies. The teachers involved in the project have been asked to provide some feedback on the school bullying phenomenon according to their experiences. The partners are currently in the process of collecting feedback from teachers. This information will be used to compare case studies during three transnational virtual meetings with teachers and partners. The first virtual meeting will be held on 26 March 2012. 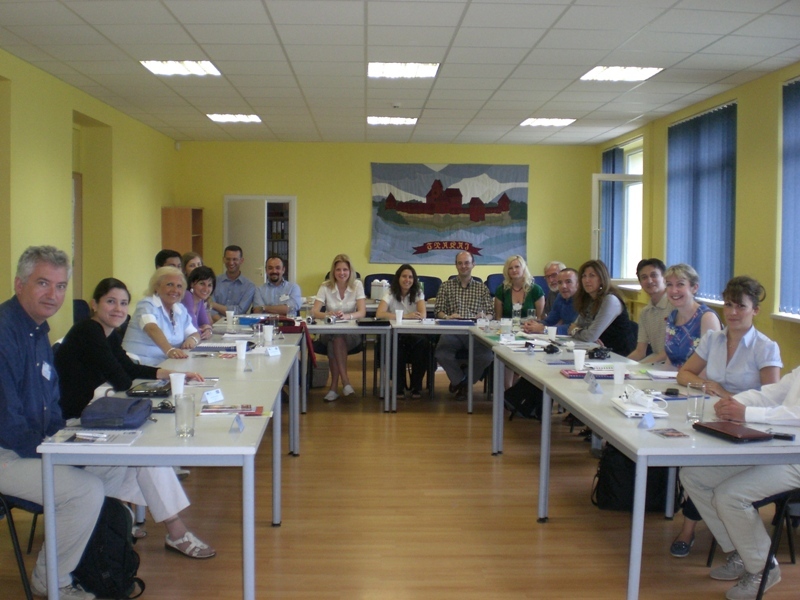 On 26 January 2012 the third project meeting was held in Seville, Spain. All partners reported the involvement of various Policy Makers in the project and illustrated some Case Studies on school bullying at national level. Elisabetta Delle Donne from Pixel (IT) reported to the other partners that Pixel got in contact with Fédération des Aroéven, a federation of French associations working in the field of education. All partners agreed to consider a possible future collaboration with Fédération des Aroéven. From now on Adriana Battaglia form IIS Don Milani (IT) will keep in contact with them. The publication entitled “Battle Against School Bullying” created in the project framework, will be presented to the Italian Parliament, in Rome, on 19 January. The publication is organised in the following chapters: European policies on School Bullying, Strategies adopted in Europe to tackle the school bullying phenomenon, The school bullying phenomenon across Europe: current situation and trends. The presentation of this publication to the Italian Parliament will be a very good opportunity for raising the politicians’ awareness on school violence related issues. 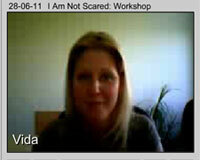 The Database of case studies is now available (http://iamnotscared.pixel-online.org/case_studies.php). A total of 90 Case Studies on School Bullying have been analysed and presented. 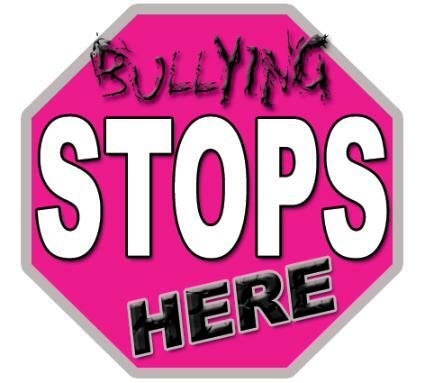 The cases studies are related to bullying events that took place in the nine partner countries. 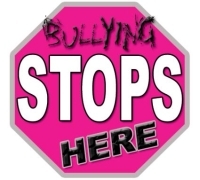 Each case study analyses specific aspects of the personal experience of the actors involved in a bullying event: victims, bully students, other students, teachers, school directors, parents of the students involved, supporting experts, policy makers. Every case study is available both in English and in the national language. Eighty experts and counsellors, in 9 different European partner countries, are now involved in the I Am Not Scared Project. They contribute to the creation of the case studies database providing their expertise in the analysis of the bullying events. 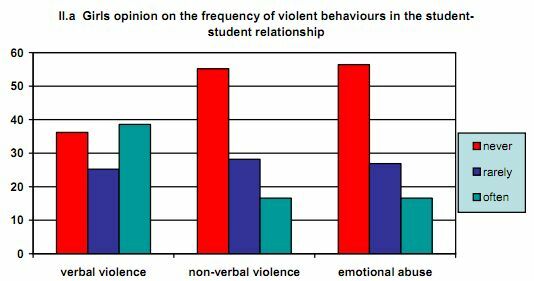 A few European projects operating in areas related to the prevention of violence at school and school bullying were selected. Contacts with the project promoters were made and cooperation agreements and reciprocal links were also made. The cooperation with the these other projects allows the creation of synergies that contribute to improving the impact of the project. Over 130 associated partners officially joined the project contributing to the improvement of its impact. 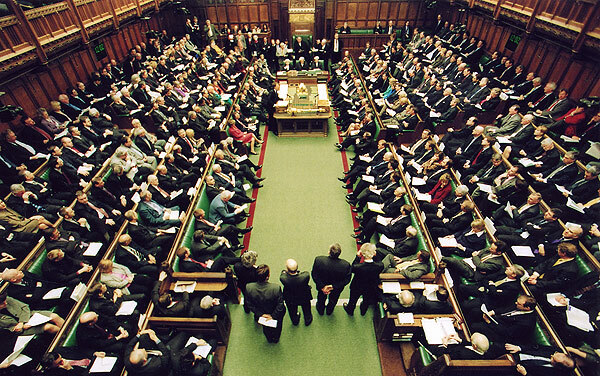 They include over 40 public authorities in 9 different European countries (e.g. the Belgian Ministry of Education, the Italian Parliament, several regional, provincial and local governments etc.) 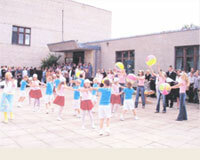 over 80 schools from 9 different countries, etc. The information about all associated partners is available on the project portal under the Members section. 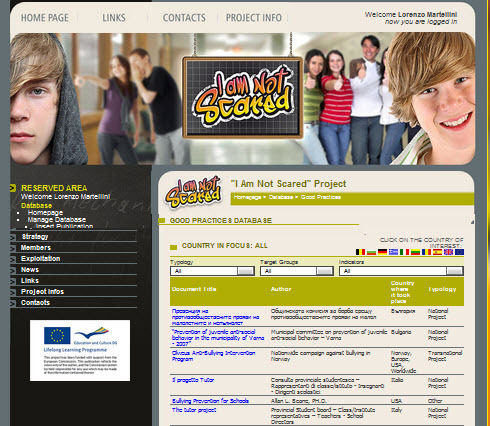 National Reports on school bullying in the nine European countries involved in the project are available. 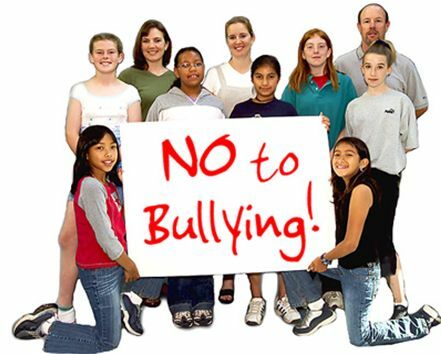 Each National Report explains the situation existing in the country of the partner focusing on: main national trends on school bullying phenomenon, national bodies in charge of the prevention of the problem, national policies implemented to prevent and tackle the Bullying Phenomenon, strategies developed at national and local level to prevent and tackle the bullying phenomenon. 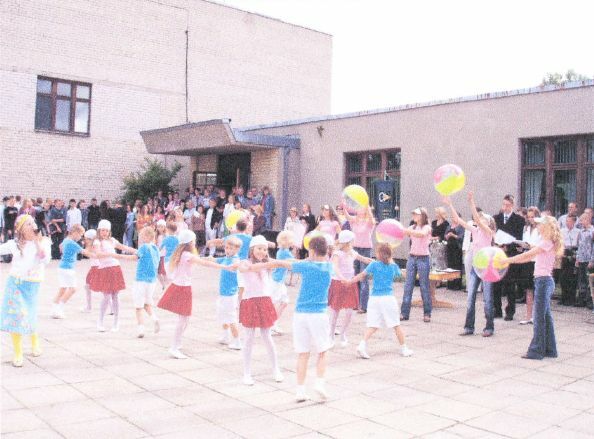 The partners produced several examples of good practices available at national level in the nine European countries involved, on the topics related to the school bullying issue. The good practices include: transnational projects, training courses for teachers, informative campaign etc. Over 90 relevant good practices have been identified and reviewed by the project partnership. The reviews of the selected publications are organized in a searchable database available in the "Database" section of the portal. A workshop with Jean Yves Stefani, the European Commission representative in charge of the I Am Not Scared Project, has been organised in Florence on 28 June 2011. The aim of the meeting was to get a better understanding of the aims of the project and on the importance to have a political impact on the European educational policies. 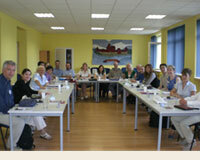 The second partners meeting took place in Trakai (LT) on 3 – 4 June 2011. The partners analyzed the activities carried out, the results achieved and the material produced. Among the objectives of the partners' meeting there was the organisation of the project's work that will focus on the production of the case studies. The partners produced several reviews of publications available at national level in the nine European countries involved, on the topics related to the school bullying issue. The publications include: researches, reports, legislative documents, books, etc. Over 450 relevant publications have been identified and reviewed by the project partnership. The reviews of the selected publications are organized in a searchable database available in the "Database" section of the portal. The project partners are now collecting the enrolment forms of the schools and of the teachers that will be involved in the I Am Not scared Project. For each school it will be possible to involve directors, teachers, counsellors, parents and students. These actors will be involved in a role play in order to analyse case studies of school bullying. For each case studies it will be then organised a transnational discussion among teachers in order to identify the better strategies and methodologies to prevent and tackle school bullying. 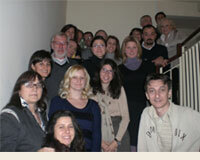 The project Kick Off meeting took place in Florence (IT) on 24 – 25 January 2011. Adriana Battaglia from Istituto di Istruzione Superiore Don Lorenzo Milani and Elisabetta Delle Donne from Pixel presented to the partners the project and the activities to be carried out. The meeting was also an opportunity for the partners to get to know each other and to discuss all details related to the project's activities. All the partners presented the national situation in their countries concerning the phenomenon of bullying in school environment. At the end of the meeting all the partners had a clear view of the future project's implementation.